I can’t believe this is the third Q&A post in my ‘Diary of a Working Mom’ series. I’m thankful to know so many amazing working mamas who want to share their stories. I’ve gotten great feedback on these posts from moms and even people who aren’t moms yet. I’ve said it before, and I’ll say it again – nothing makes me happier than knowing this kind of content is resonating with people! 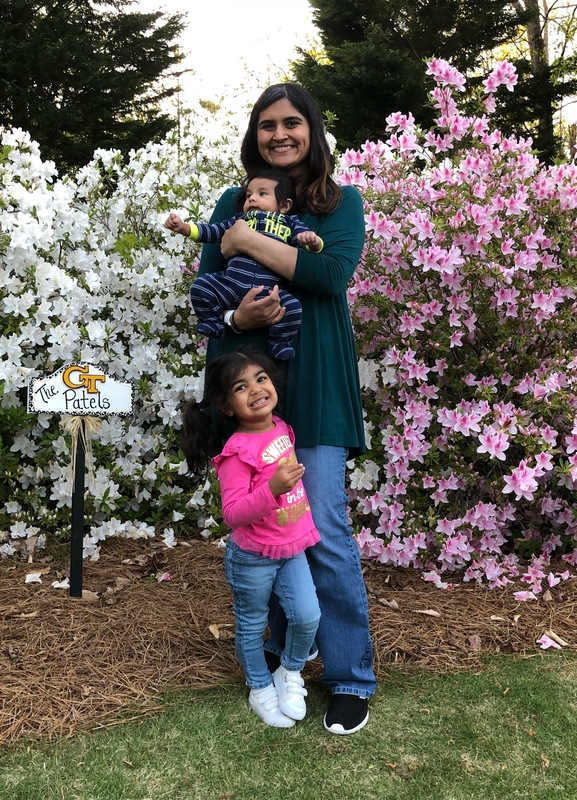 The third working mama being profiled is my friend Chitra. We’ve known each other for years through a common group of friends. I can honestly say Chitra is one of the sweetest, kindest people I know, as is her husband Jay. Her smile is contagious, and she has this uncanny ability to make you feel really special. 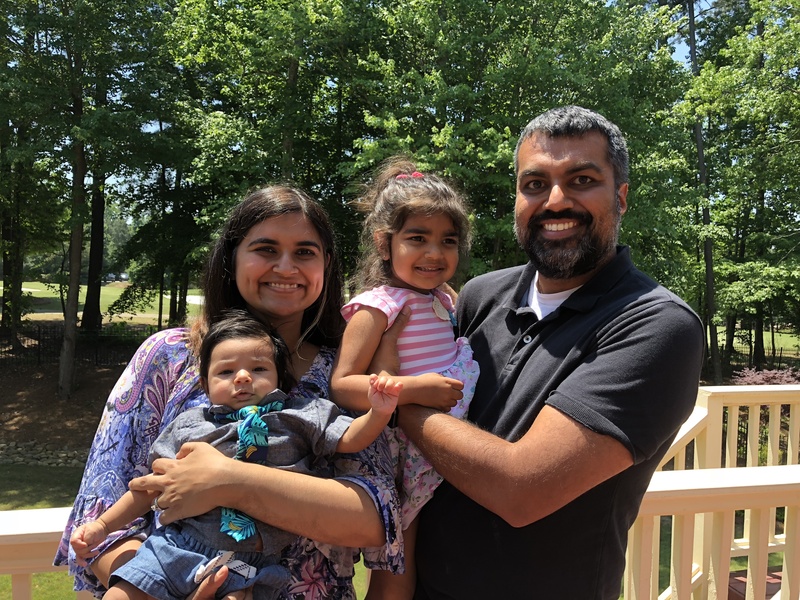 Chitra recently (ish) had baby #2 and will soon be juggling a new routine that involves corporate America, a working husband, two kids in daycare, etc. But I’ll let her tell you all about! My husband Jay and I have two kids – Kareena (2.5 years old) and Kiaan (11 weeks). I work in the financial services industry and collaborate with my clients to help them create customized financial plans. As a Senior Private Banker, I am also able to provide my clients custom credit solutions to help them achieve goals related to real estate acquisition, optimization of cash flow, and wealth transfer. I work exclusively in the high net worth space, and my clients typically have at least $2.5 million of liquidity at my firm. I’m on maternity leave right now, so it’s a lot of feeding Kiaan and changing diapers :). We are trying to get him on the mom’s on call schedule for 8-16 week old babies. I have to say mom’s on call has been great for us. 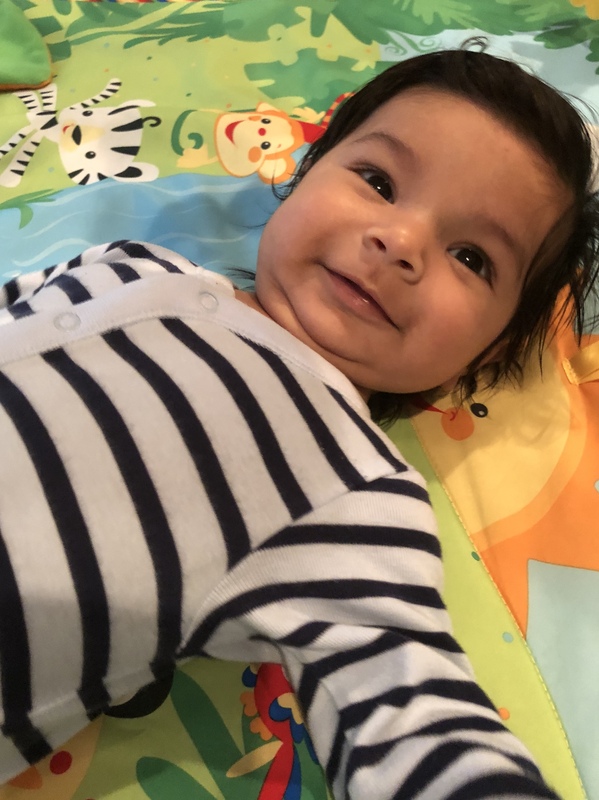 Kareena was sleeping through the night at 8 weeks, and Kiaan has been sleeping thru the night at 10 weeks (hopefully this continues!). I think having a somewhat structured feeding schedule helps with the sleeping thru the night and keeping my sanity as a working mom! Sometime between 6-7 am I feed Kiaan (we try to stretch to 7 unless he wakes up), help Kareena get ready for school if I’m not feeding Kiaan (otherwise Jay handles it), and then pump right after to build a supply for when I go back to work. Jay typically takes Kareena to school every morning. The next feeding is at 10:30 am. Since Jay works from home now, we try to go out to lunch if it’s a nice day and take a walk. Kiaan then feeds at 2 pm. In between feedings I try to take a nap, do laundry, read, run errands, meal prep or watch TV. Kiaan feeds again at 5:00 p.m. Jay picks up Kareena from daycare between 5-6 pm. We eat dinner and then play with the kids until 7/7:30 pm and then it’s bath and bed time. It’s going to be interesting doing the morning routine with two kids having to get ready for daycare. I anticipate there will be a lot of one-on-one coverage when possible with me getting Kiaan ready and Jay getting Kareena ready. I’ll be pumping before the first feeding at 6:00/6:30 am. and then feeding Kiaan at 7 am. We will try to have them both ready by 7:40 am so Kareena can eat breakfast at school before the 8:00 am cutoff at daycare. They feed her things like blueberry pancakes, eggs, biscuits, etc. This is much more than what I could prepare on a weekday morning! Once both kids are at day care and I’m back to work during the day, it will be about being as efficient as possible and then of course having 2-3 pumping sessions in between meetings and conference calls. We will pick up the kids between 5/5:30 pm and do the nighttime routine mentioned above. I’ve definitely become more efficient and protective with my time. Before kids, I would sometimes be at the office until 6:30/7 pm to make sure most things were done before heading home. Post-kids, I have rarely stayed at work that late and leave the office between 4:30/5 pm (I did get on the laptop and answer some emails after Kareena was asleep). Set personal boundaries for yourself and stick with them. For example, I will leave work by 5:00 pm every day, and I won’t check my work email while I’m playing with my kids, etc. 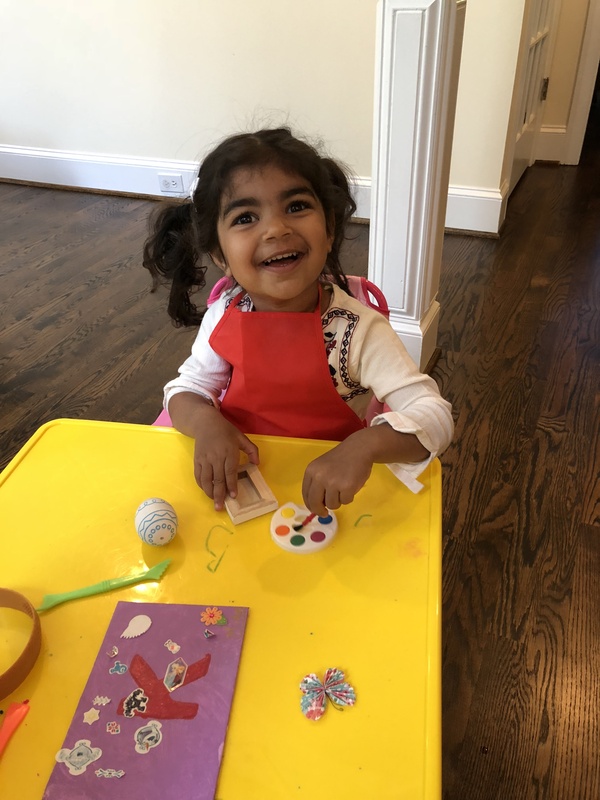 I think about how much Kareena has developed by being in daycare and the things she has learned and know I probably wouldn’t have been able to do the same if I stayed home with her. I also personally believe I’m setting an example for her that women can have a successful career and a great family life too. Surprising – you find a way to get things done! Rewarding – it’s fun to hear Kareena talk about her day at school (from the perspective of a toddler!). My ‘me’ time is watching TV. I have to admit I’m still a sucker for Grey’s Anatomy and American Idol. I also use my commuting time to listen to audio books or catch up on phone calls. My guilty pleasure when I’m at work is splurging on a handcrafted latte a couple times a week. Kids adapt quickly so don’t feel guilty about putting them in daycare. It’s harder on you than the kid! If you’re a breastfeeding mama, start to build a supply of milk while you are on maternity leave. I remember the first couple of weeks back to work after Kareena were hard on me emotionally and that can effect your supply. Chitra, thank you for sharing your thoughts, advice, etc. Kareea and Kiaan (and even Jay!) are so lucky to have an amazing role model of a mama like you! And good luck with your transition back to work!